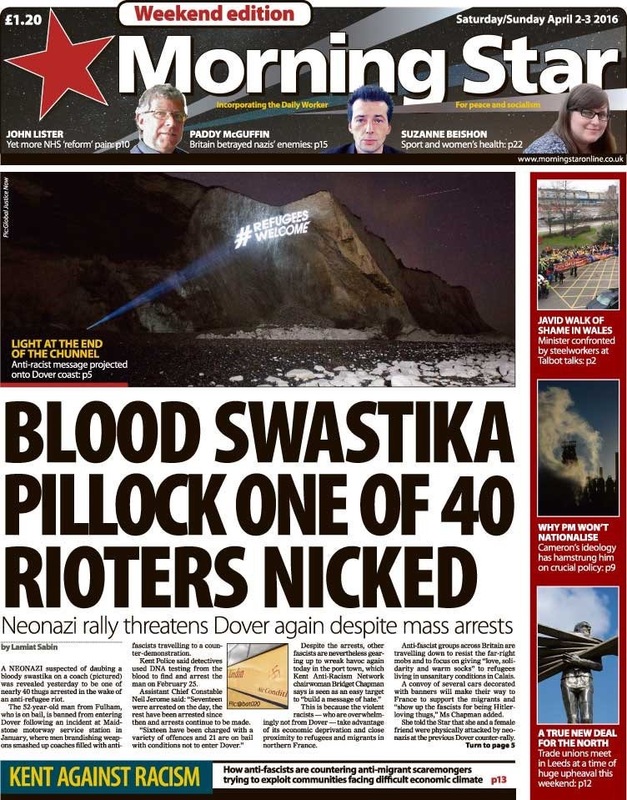 “Refugees welcome” has been projected in giant letters across the iconic white cliffs of Dover, just before an alliance of racist far-right groups are due to hold anti-migration protests in the town of Dover. The projection was undertaken as a collaboration between campaign organisation Global Justice Now and guerrilla projectionists Feral X. Shot on commission for Global Justice Now – contact the press office for pictures.